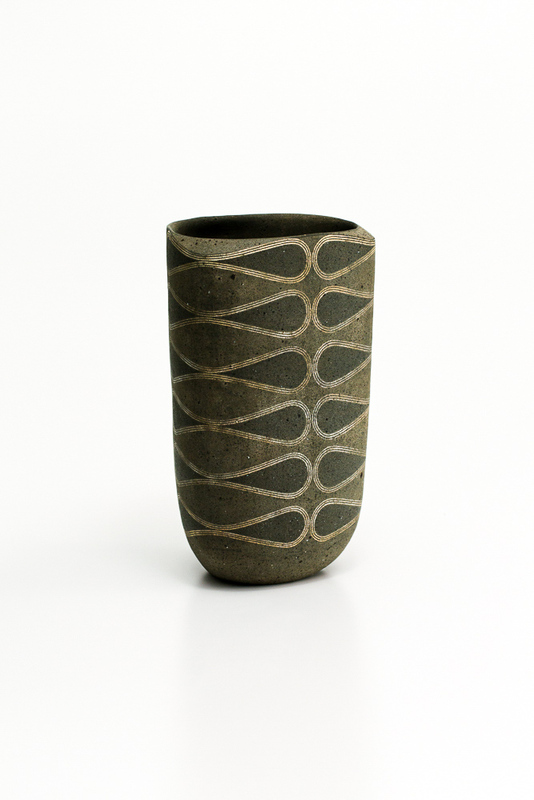 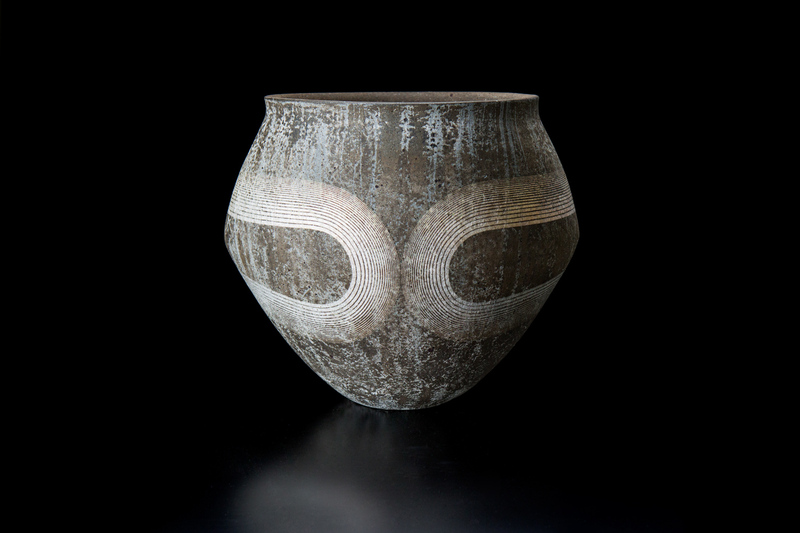 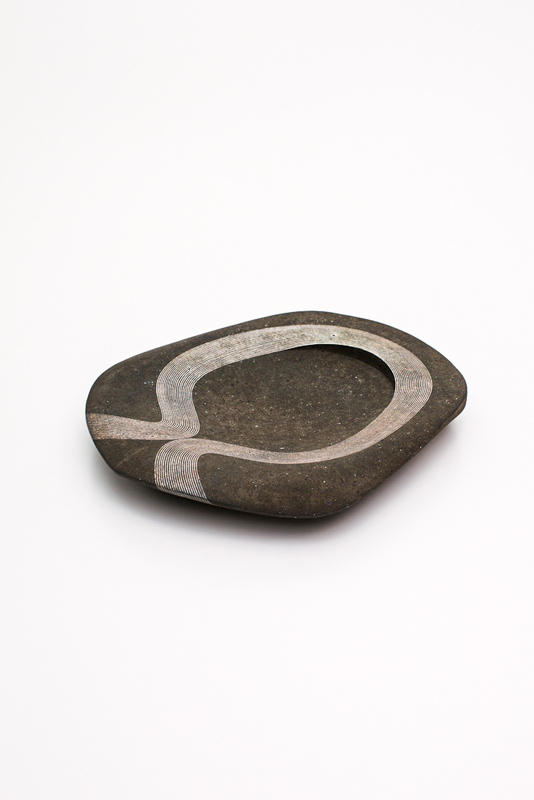 The ceramics of Daisuke Iguchi have the presence of ritual artefacts and sacred objects. 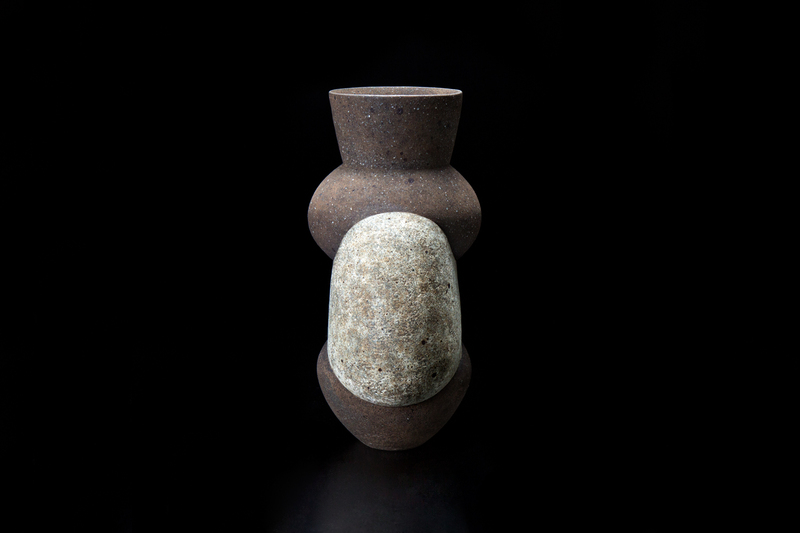 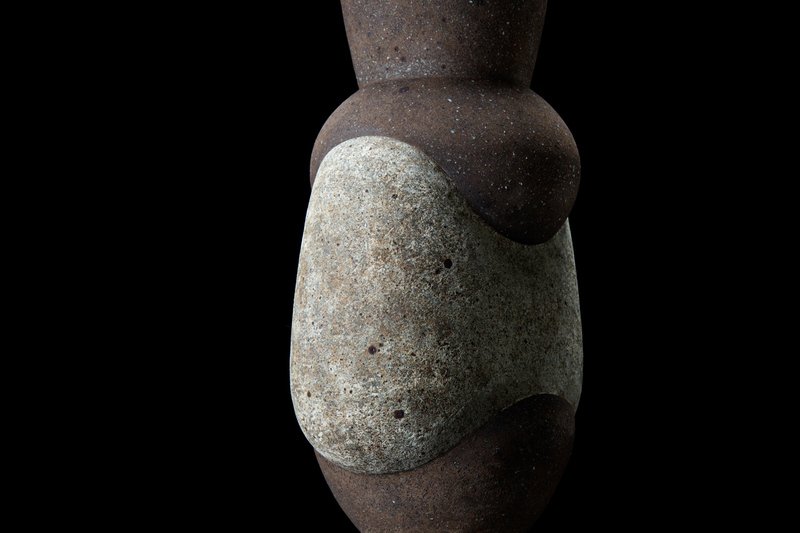 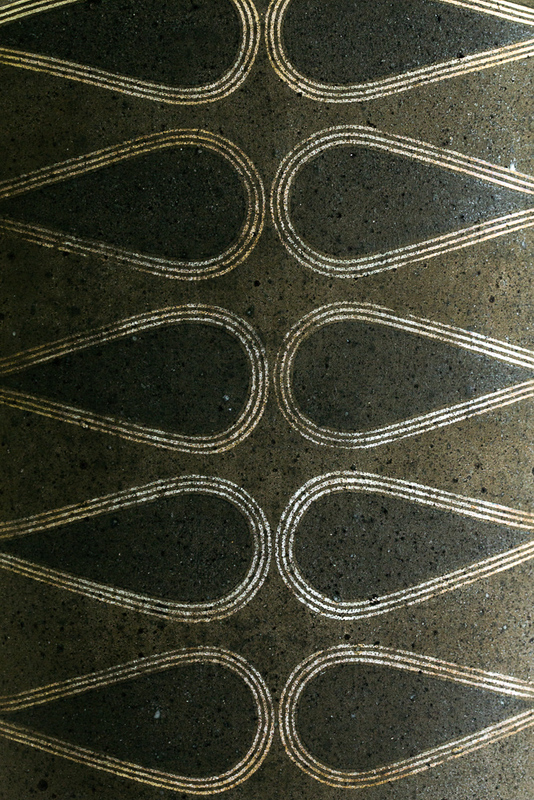 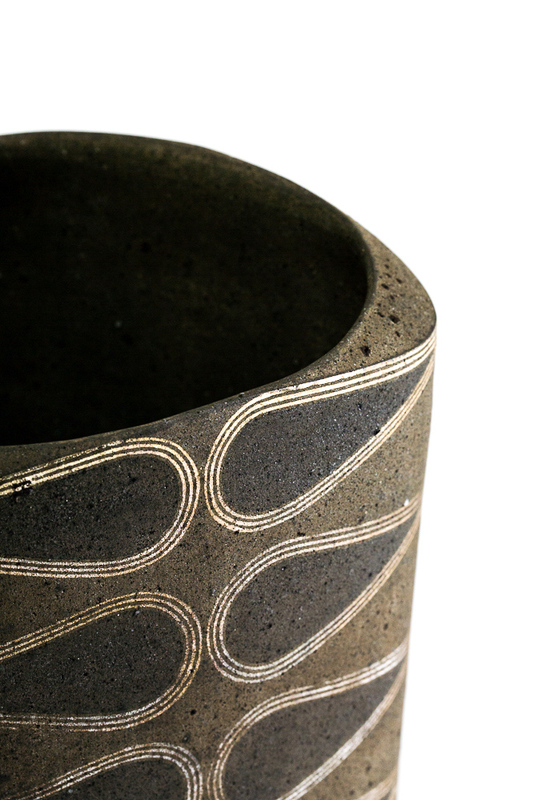 Iguschi is interested in the aesthetic qualities of patinated iron and moss-covered stones, and has gone through an extensive empirical research to be able to reproduce these effects on the surface of his vessels. 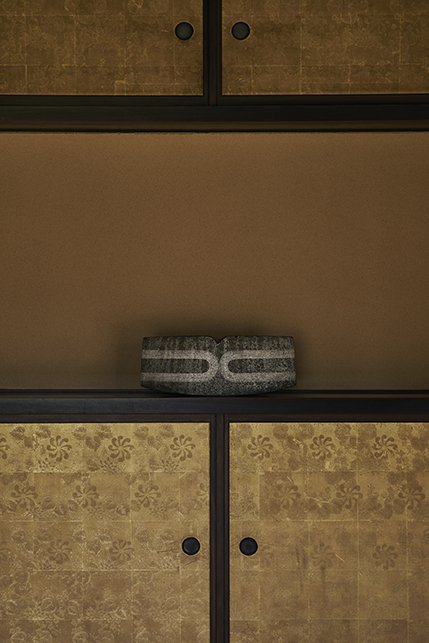 Embracing the concept of Sabi - an admiration of that which is old and faded - Iguchi’s works celebrate the wearing effect of time on all things. 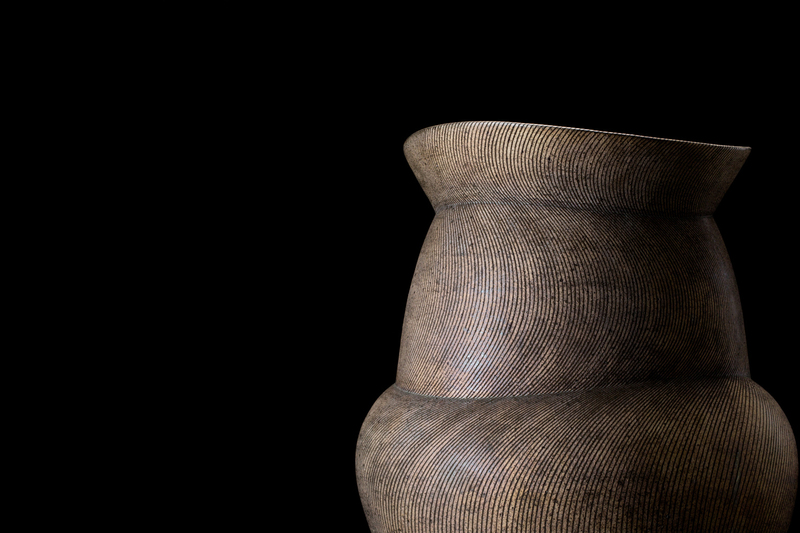 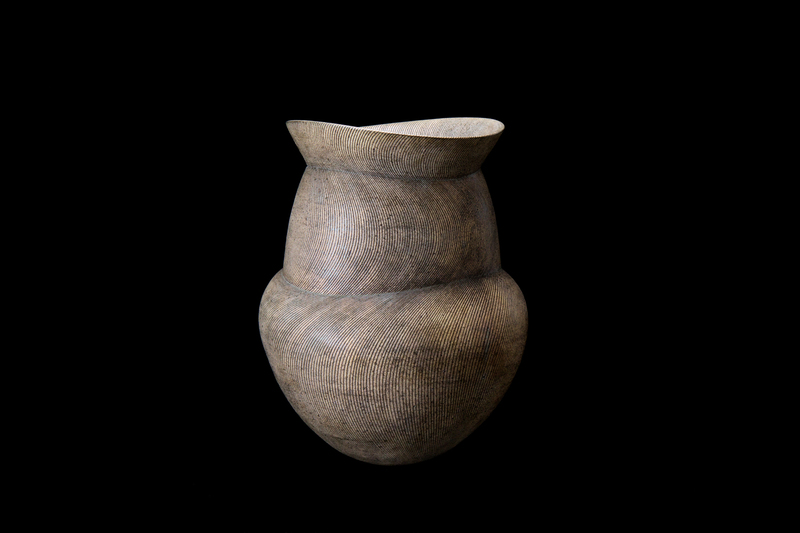 His vessels are hand-build and given a skin that is typical of the artworks of Igushi : a textured, old-metal lustre and oxydised patina obtained through the application of ashes, precise firings, and polishing. 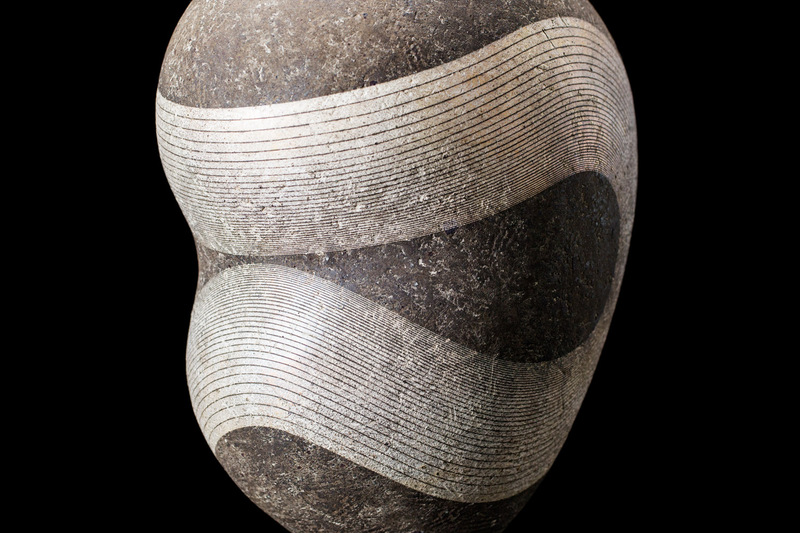 The curves and volumes of his elegant and ample shapes are highlighted by Iguchi’s characteristic pattern of parallel white lines. 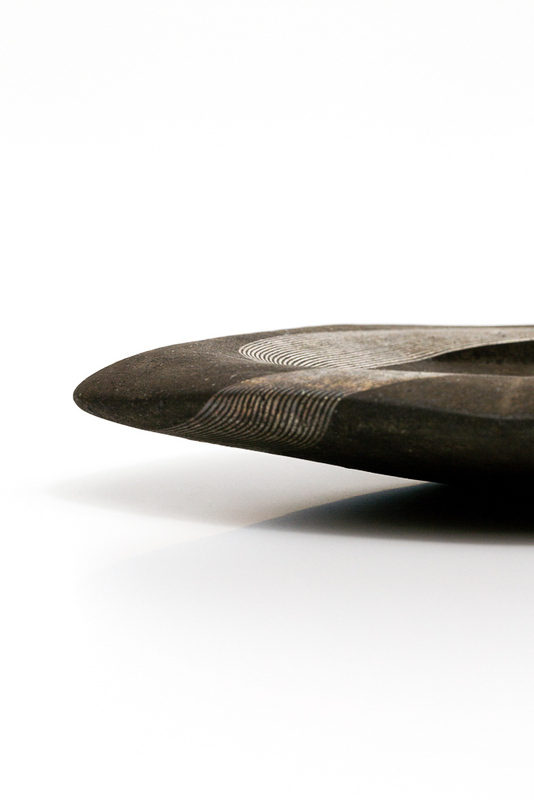 Through the process of their making his artworks grow a personal history evidenced in their uncanny aura of antiques and other worn-out artefacts. 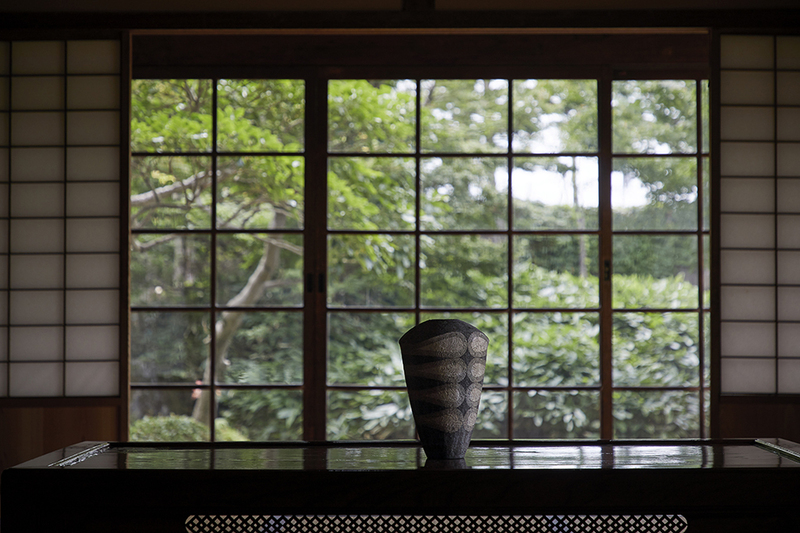 Iguchi was awarded the Judge’s Special Prize in 2008 Mashiko togeiten (Mashiko Ceramic Art Exhibition) as well as the Governor of Tokyo prize at the 2014 Eastern Japan Traditional Art Crafts Exhibition.